Acknowledged as one of Ireland’s most successful domestic music acts of theirgeneration, The Frames career spans 3 decades as they celebrate 20 years as a band. They released their first album in 1992 and, over nearly a decade bounced throughvarious well-documented record deals and band line-ups releasing consistentlyexcellent records (Fitzcarraldo and Dance The Devil) along the way in spite of it.Finally, as the new millennium appeared the band shook themselves free of outsideinfluences, beginning work on For The Birds which they released on their ownPlateau label in March 2001. Two years later after constant touring and an ever-rising fanbase the band releasedtheir live opus, Set List, which became the first of their albums to début in the IrishAlbum Charts at No 1 in May 2003 and has gone on to be their biggest-selling albumto date. They continued with their relentless touring schedule around the world, inkedan international record deal with the Anti record label (whilst retaining release rightsfor their own label at home and in Australia) and still found time to record and releasetheir 5th studio album. Following hot on the heels of a monumental sold-out open-air show in front of nearly20,000 at Dublin’s Marlay Park, Burn The Maps was released in September 2004. Itwent straight to No 1 at home in Ireland and became a long-term fixture in the IrishCharts in spite of the band having to spend most of their time away on tour supportingits release worldwide in 2005. The Frames finished up 2005 with a sold out gig in Dublin’s Point Theatre andmeanwhile in The States, Burn The Maps finished at No 5 in the New York Timesend of year Top 10 releases. 2006 began with Esquire magazine giving them thecoveted Best Import award (which Coldplay had won the previous year). Indulging in a spot of moonlighting in March 2006 frontman Glen Hansard releaseda universally acclaimed collaborative Swell Season album (charting at No 5) and tourwith Czech singer/pianist/composer Marketa Irglova. The band released their 6th studio album, The Cost, in Ireland on their own Plateaulabel in Ireland September 2006 (the rest of Europe followed in October on the Antilabel). It went straight into the album charts at No 2 and was the springboard for asolid year of international touring which culminated in a Christmas show in Irelandwith Snow Patrol and a headline show to ring in the new year. 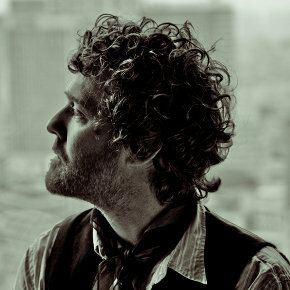 Meanwhile frontman Glen’s return to acting (his first role since The Commitments)proved an unqualified success with the film “Once” (written and directed byex-Frames bass player John Carney), won the prestigious Sundance AudienceInternational Award as well as the Dublin Film Festival Audience Award and ahost of other International accolades. The music from the film (written by Glen and film co-star Marketa Irglova wasreleased under the name The Swell Season and, all part of the flurry of activity thatsurrounded the film’s success, the pair won an Oscar for “Best Original Song” for“Falling Slowly”. This elicited a swathe of appearances on all of the peak chat shows around the worldon an ongoing basis and provided the foundation for an ongoing series of sold-out fullband worldwide tours under the name The Swell Season (featuring The Frames astheir band).